A Chinese national pleaded guilty today to participating in a years-long conspiracy to hack into the computer networks of major U.S. defense contractors, steal sensitive military and export-controlled data and send the stolen data to China. Su Bin, also known as Stephen Su and Stephen Subin, 50, a citizen and resident of the People’s Republic of China, pleaded guilty before U.S. District Judge Christina A. Snyder of the Central District of California. The guilty plea was announced by Assistant Attorney General for National Security John P. Carlin, U.S. Attorney Eileen M. Decker of the Central District of California, Assistant Director Jim Trainor of the FBI’s Cyber Division and Assistant Director in Charge David Bowdich of the FBI’s Los Angeles Division. A criminal complaint filed in 2014 and subsequent indictments filed in Los Angeles charged Su, a China-based businessman in the aviation and aerospace fields, for his role in the criminal conspiracy to steal military technical data, including data relating to the C-17 strategic transport aircraft and certain fighter jets produced for the U.S. military. Su was initially arrested in Canada in July 2014 on a warrant issued in relation to this case. Su ultimately waived extradition and consented to be conveyed to the United States in February 2016. 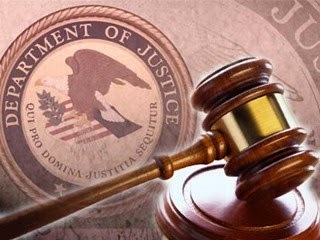 In the plea agreement filed yesterday in the U.S. District Court of the Central District of California, Su admitted to conspiring with two persons in China from October 2008 to March 2014 to gain unauthorized access to protected computer networks in the United States, including computers belonging to the Boeing Company in Orange County, California, to obtain sensitive military information and to export that information illegally from the United States to China. As part of the conspiracy, Su would e-mail the co-conspirators with guidance regarding what persons, companies and technologies to target during their computer intrusions. One of Su’s co-conspirators would then gain access to information residing on computers of U.S. companies and email Su directory file listings and folders showing the data that the co-conspirator had been able to access. Su then directed his co-conspirator as to which files and folders his co-conspirator should steal. Once the co-conspirator stole the data, including by using techniques to avoid detection when hacking the victim computers, Su translated the contents of certain stolen data from English into Chinese. In addition, Su and his co-conspirators each wrote, revised and emailed reports about the information and technology they had acquired by their hacking activities, including its value, to the final beneficiaries of their hacking activities. Su’s plea agreement makes clear that the information he and his co-conspirators intentionally stole included data listed on the U.S. Munitions List contained in the International Traffic in Arms Regulations. Su also admitted that he engaged in the crime for the purpose of financial gain and specifically sought to profit from selling the data the he and his co-conspirators illegally acquired. Su faces a maximum sentence of five years in prison and a fine of $250,000 or twice the gross gain or gross loss resulting from the offense, whichever is greatest. Judge Snyder is scheduled to sentence Su on July 13, 2016. The case is being investigated by the FBI Los Angeles Field Office’s Cyber Division with assistance from the U.S. Air Force’s Office of Special Investigations. This case is being prosecuted by Assistant U.S. Attorney Anthony J. Lewis of the Central District of California and Trial Attorney Casey Arrowood and Senior Trial Attorney Robert E. Wallace of the National Security Division’s Counterintelligence and Export Control Section, with support from Lisa Roberts of the Justice Department’s Office of International Affairs.